A 22-year-old man was shot and killed early Sunday in Florida after he defended his friends from someone who had been shouting about how he hated gays and wanted to kill them, witnesses told authorities. 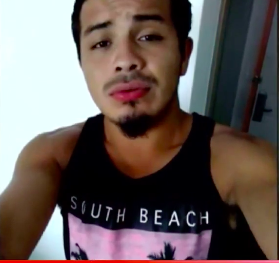 Juan Javier Cruz and some of his friends, some of whom were gay, had been eating and hanging out at Restaurante Y Pupuseria Las Flores in Lake Worth, Florida, at around 1 a.m. One of Cruz's friends told detectives that when the restaurant closed, their group and other diners went outside and were confronted by Nelson Hernandez Mena, who began threatening them. “I hate you damned gays, I’m going to kill you all here,” Mena allegedly shouted, according to what witnesses told the Palm Beach County Sheriff’s Office. When Cruz defended his friends, Mena pulled a handgun from his pants and fired several shots, killing Cruz and wounding another man in the ankle, who told investigators he believes he was targeted because he is gay. The 48-year-old faces charges of first-degree murder, attempted murder, and aggravated assault with a firearm. On Monday, a judge ordered him held without bail at the Palm Beach County jail. The sheriff's office did not immediately return BuzzFeed News' request for comment, but told the Sun Sentinel that it was too early in the investigation to make a call on possible hate crime charges. Stunned and emotional, Cruz's family said the shooting made no sense. Mena, who allegedly told investigators that he had drank 15 to 20 beers that night and was “very drunk,” had also been out with a few friends at the Salvadoran restaurant. Another one of Mena's friends said he heard the shots ring out as he was walking toward his car. Mena appeared shortly after and when asked what happened, he told his friend “nothing” and “asked him to take him somewhere,” according to the arrest report. When authorities arrested Mena around 10 a.m. on Sunday, they say he claimed that “a group of guys started attacking and threatening him” when he walked outside the restaurant. Sheriff's officials also said Mena recalled reaching for his gun and pulling the trigger, but told investigators that Cruz was not his intended target.